Today we talk about 22 ways to care about your blog, to keep it ready and filled with good contents. Below you can find five great articles I’ve found on the web, filled by good tips and ideas on how to get back on track with your blog, and with some good content ideas. If you need help with your blog you can leave a comment below, and I will take the time to help you. This is what works for me. There are some people who can just get right back to work. For me that quickly leads to feeling overwhelmed and exhausted. 1. Don’t overload yourself right away. 8 Blog Post Ideas – Don’t Leave Your Blog Naked! Switching gears from email marketing to blogging, we now have some new challenges ahead of us. The first of which is always, “What the heck should I write about?” Well, we’ve come up with 8 ideas to help you brainstorm your next topics and here they are. Don’t let your blog schedule take over your life. Last week, we shared ideas to help you brainstorm a ton of blog post topics. We’ve posted those ideas here, in case you missed them or want to keep them handy. But now that you have all those ideas, you’ve got to put them to work. If you’ve ever been stuck for a topic idea or just aren’t sure what to include in a blog post, the answer may be closer than you think. 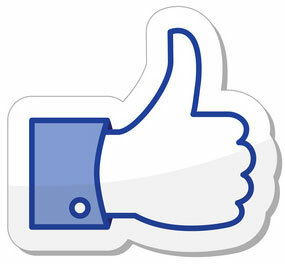 Just head over to Facebook…there’s a ton of people who can tell you what to do. You can ask your followers, ask the friends of your followers and you can even (legally!) take stuff from other people’s Facebook Pages.